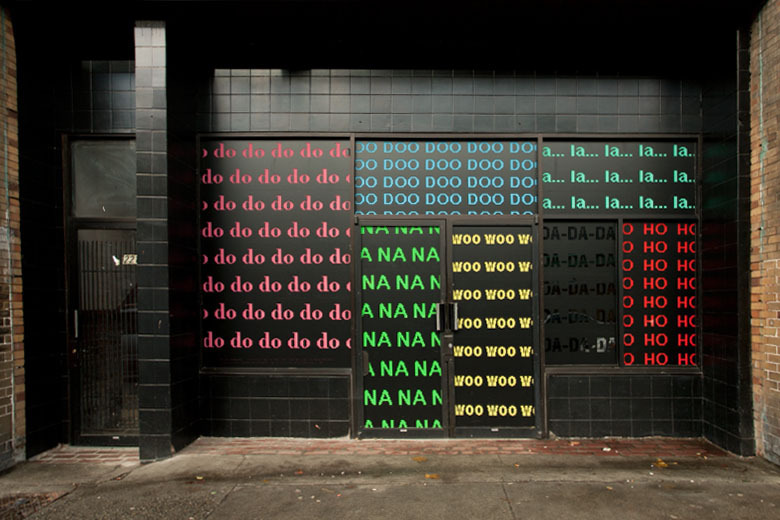 Christy Nyiri, Non-lexical Vocable Windows (Too High, Walk on the Wild Side, You Can Call Me Al, Jeremy, Dreams, How Deep is Your Love, Tarzan Boy)(2011), vinyl and latex paint on glass as part of Material Arrangement. Photo Credit: Yvonne Hachkowski. 2015 marks our tenth year of programming artistic and curatorial practices in Canada. Since its inception 221A has been a qualitative space for the development, education and exploration of interdisciplinary contemporary art and design practices.